After identifying the difference between our roller banners and pop up stands in our previous blog posts, it’s time to showcase some of the established exhibition stand brands that we’re proud to supply to our customers. This week, we’re focussing on the selection of display stands from Twist. What Makes the Brand Special? Twist produces modular display systems. This means that each element can be added or removed in order to create a completely customised trade show solution. Multiple banners can connect together using the add ons and accessories to build walls of unlimited length. 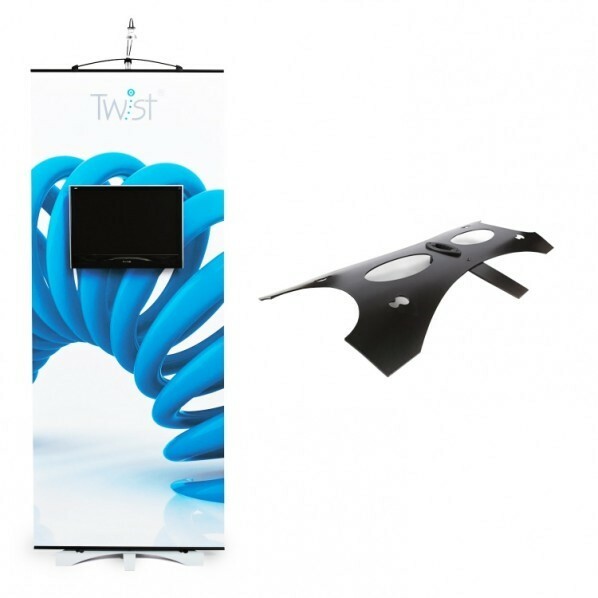 However, the real beauty of the Twist display stands lie in its flexible, Flexilink panels and kits. The Twist Flexilink Display Stand Kit is the most comprehensive option available to businesses. 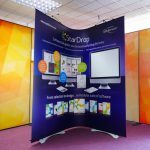 For just £550 it includes one wide Flexilink exhibition stand, with two twist banner stands to support it. This banner stand, as well as the additional accessories such as spot lights, storage tubes and magnetic linking connectors provide everything needed to make a lasting impression at every trade show attendance. The key to this is the Twist Flexilink panel, as it can be used as a straight or L shaped wall as well as a concave or convex single sided wall. Whether allocated a small, compact space or if you have more room to build a stand, this versatile kit will ensure every booth is branded successfully. Alternatively, purchasing a single Twist Banner Stand enables you to create your own modular display. Multiple stands can easily be linked together to create a larger back wall, or they can be separated to create many more smaller, standard display stands to place around a booth. 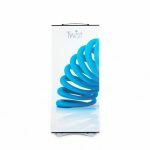 Even if not used to form a large, impressive display, the patented design of the Twist banner stands means that they can pivot slightly to easily cope with uneven floor surfaces, earning its reputation as a leading banner stand manufacturer. Just because you are looking for a modular display system that is versatile enough to cope with booths of all sizes, it doesn’t mean you need to sacrifice function. The Media Twist Banner Stand is the perfect example of this. It offers the same features of the standard exhibition stand, with a Vesa Mount included. No tools are required to assemble this intelligent unit, enabling businesses to leverage an already versatile exhibition stand solution using digital displays. 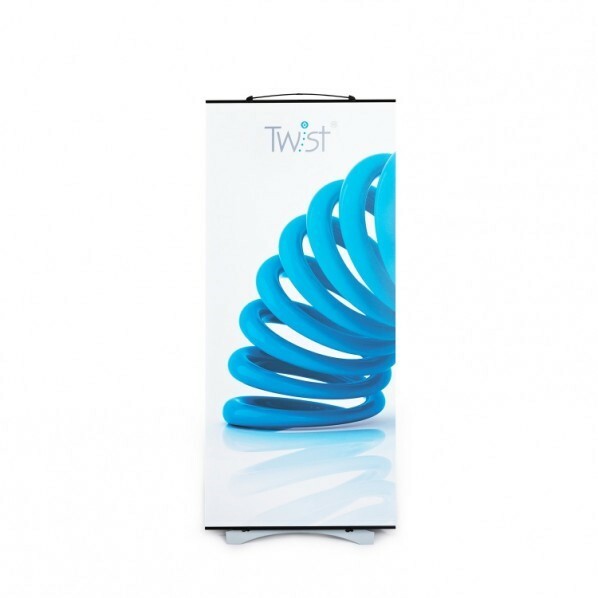 If you want to learn more about our range of Twist banner stands or want to find out which display stand is right for your needs, get in touch with a member of our team.